posted by Robert J. Carmack #blues2jazzguy Los Angeles,Calif. The L.A. jazz community cried out in agony over the apparent suicidal death of local saxophonist Zane Musa on Monday,Feb 2. A welcomed fixture on the Southern California jazz scene for almost 20 years. Musa died in Fort Lauderdale, Florida at the age of 36. Details are still sketchy at present as close friends and peers try to wrap their head around the cloudy circumstances surrounding his demise. News of Musa’s passing came from trumpeter Arturo Sandoval, who’d used Zane often in recent years in his bands, including a popular annual jazz cruise that had docked in Fort Lauderdale on Sunday after a week in the Caribbean. Sandoval first tweeted on Monday morning that Musa had been in a “terrible accident” and asking for prayers for “my brother,” then tweeted again a few hours later to say that he had passed. Musa was reportedly taken from a parking structure near the Fort Lauderdale Airport to Broward Health Medical Center’s Intensive Care Unit, where he was pronounced dead on Monday night, according to a family spokesperson. Sandoval was overheard saying, “I have played with a lot of great musicians, but there are very few that really impress me — Zane Musa was one of those very few. I considered him to be a true master of his instrument on a level with some of the great jazz masters, and I always felt it was an honor just to be able to play with him. 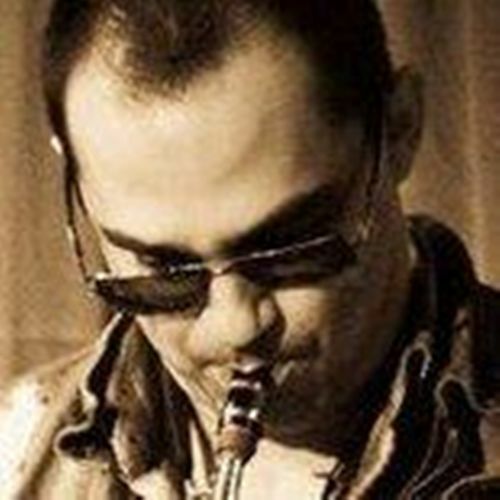 His control and his imagination on his instrument was second to none.” He was later a regular at Charlie O’s in Van Nuys, a club dedicated to the local mainstream/bop jazz scene that closed in 2011. Further details will be forthcoming if and when family members release it. In speaking to L.A. based Jazz drummer Don Littleton, He was quoted as saying ,” This Kid was one of the great ones early on and, I just had to embrace him. When you run across a young person of his skill-set and attitude, doing it the right way, Man, you just got to support them as much as possible.” “Zane Musa in an incredible virtuoso of the saxophone. His versatility amazed me every time we played. It is and honor and a privilege to play alongside him.” – Arturo Sandoval, (legendary trumpet player) Zane Musa had solidly established himself as one of the most innovative and studied musician of the Los Angeles, California jazz scene. His playing had been sought out and showcased by the likes of Arturo Sandoval, Roy Hargrove, Macy Gray, Christina Aguilera, and John Mayer. He also lent his talents to the house bands of several popular television shows including The Voice, Jimmy Kimmel Live, and The Carson Daily Show. He was playing regularly in the prominent clubs of Hollywood with several bands, including Jeff Goldblum and the Mildred Snitzer Orchestra, fronted by the well-known actor and accomplished pianist, Jeff Goldblum. thank you for pointing out an oversight on our part. Really? Proof reading and the topic is about a legendary jazz artist passing? That is dishonorable in my opinion. But to each his own. By the way; in your comment, punctuation “!” goes outside the parenthetical “)”. Even if inside, you still did not punctuate your sentence. Not so fun when it’s done to you is it? WE Thank you Will .. an error upon transferring the corrected copy onto the page. an unedited version was used instead. Thank you, we appreciate all comments good or baD,POSITIVE oramp; NEGATIVE. THANKS WILL. Hint to Grethel, we are very informal thats why we’re a Blog , not a polished slick , stick in the mud online version of the formal newspapers and mags. Like Jazz not all edges are sharp some are smooth , some are lumpy. Well done piece. Will be checking in more. Love the blog’s name…. You shouldn’t use the present tense when describing a dead man. He CAN’T “currently be heard” on tour with anybody. I just wish they’d remove the stars, likes and ratings buttons.What a insult to his life, his loss and all who loved and admired this young man. I agree Chris, I live in LA and we could not get enough of him.. because the lack of venues for this type of jazz has dwindled. ZANE WAS NOT A COOKIE CUTTER SAX player like many of his generations players. He was “old school” with his own ideas and approach.